Whether you call them dumplings, potstickers or gyoza, they're always delicious. Dumplings are a must-have dish every time I dine out at a Chinese restaurant, but very rarely do I make them at home. 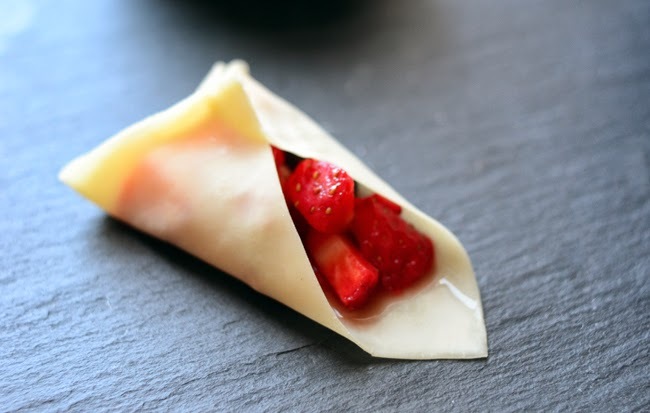 They're actually quite easy to make and these dumplings are unexpectedly sweet with a strawberry & chocolate filling. Since these dumplings are like no other, a soy dipping sauce just wouldn't work. 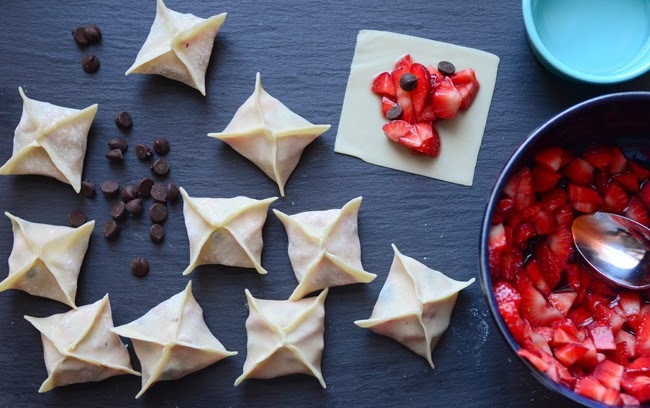 So what sauce would work with a fruit-filled, sweet dumpling? Enter the balsamic reduction. 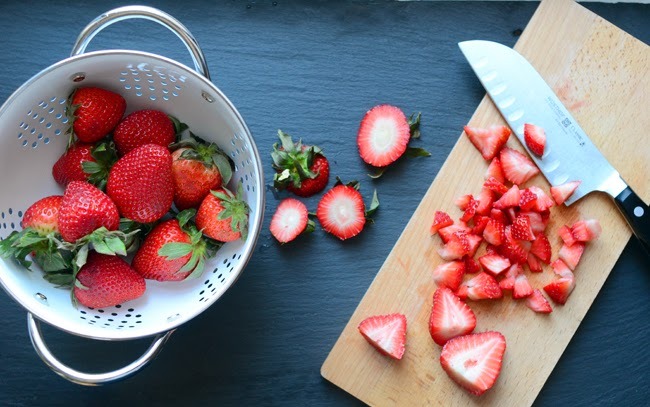 A simple balsamic glaze serves as the perfect sauce for any strawberry treat. I chose strawberries because I happened to have them at home, but the filling possibilities are endless. 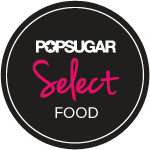 Try figs and dark chocolate, bananas with Nutella, or even pears and walnuts. 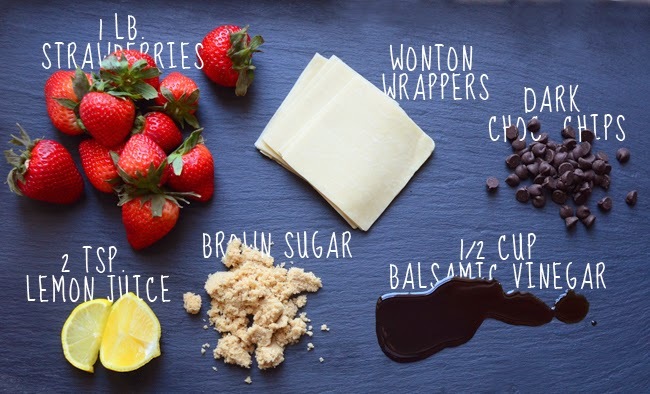 (A pan seared wonton wrapper can pretty much make any dessert combination delicious.) Here's a few tidbits of dumpling knowledge I picked up as I made these: 1. Make sure that lid goes on right as you pour the water in to steam the dumplings. Otherwise the hot oil will go everywhere! 2. Don't over stuff the wonton wrapper and pinch edges tightly to seal the seams. 3. Eat while they are still warm. 1. 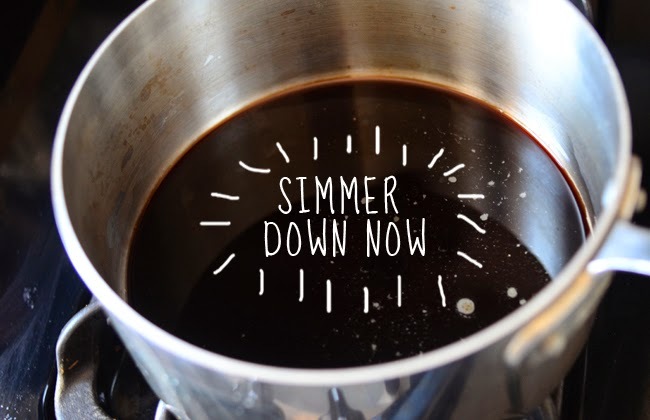 In a small saucepan, bring the balsamic vinegar and 1/4 cup light brown sugar to a simmer. Continue to simmer until the mixture thickens and has reduced by half. Cool slightly, then transfer to a small bowl for serving. 2. 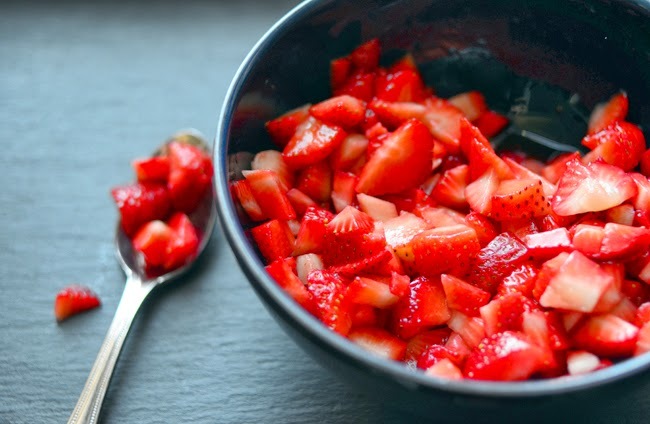 While the balsamic/brown sugar mix is reducing, macerate the strawberries by placing the chopped strawberries into a bowl. Add the lemon juice and remaining 2 Tbsp. light brown sugar. Stir and set aside for at least 20 min. 3. 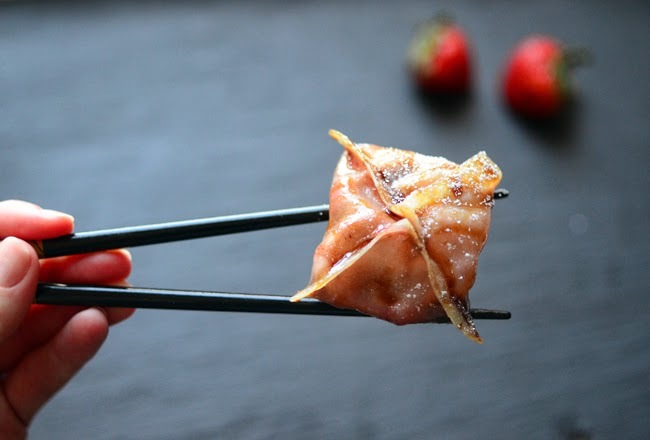 Working with one wonton wrapper at a time, place a heaping teaspoon full of the strawberry mix in the center of the wrapper. 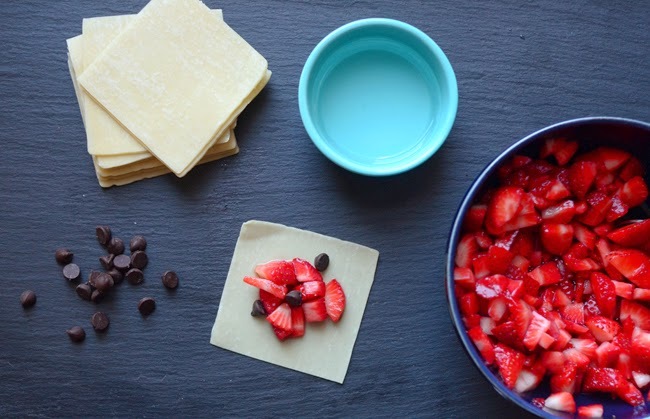 Add several chocolate chips on top of the strawberries. Wet your finger in a small bowl of water and use it to dampen all four edges of the wrapper. Bring two opposite corners of the wrapper up to meet one another and press them tightly together to seal, then bring the remaining two corners of the wrapper up to meet the first point. 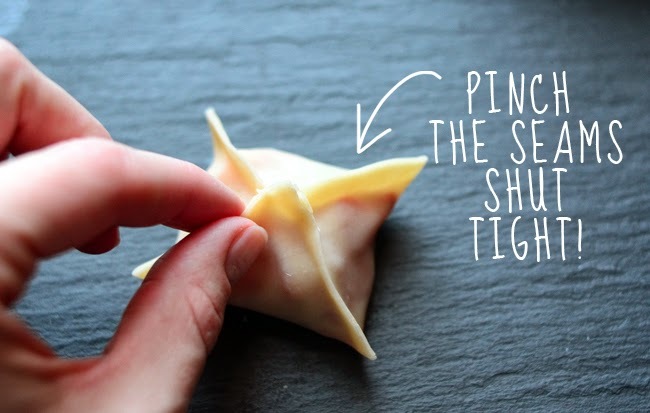 Squeeze seams along the four edges to seal completely and set dumpling aside. Work quickly so wrappers don't dry out. 4. Heat 3 Tbsp. olive or vegetable oil in a skillet (that has a lid) on med-high. Place dumplings in a single flat layer on the oil and cook uncovered for 2-3 minutes to crisp the bottoms of the dumplings. 5. Reduce the heat to medium. Add 1/4 cup of water to the pan and quickly cover to steam the dumplings. Be careful, hot oil hurts! Steam for 3-4 minutes, then take off the lid and gently remove the dumplings to plate. 6. Generously drizzle the balsamic glaze on top of the dumplings (or even sprinkle with some confectioners sugar) and serve with the remaining glaze. These look so yummy! 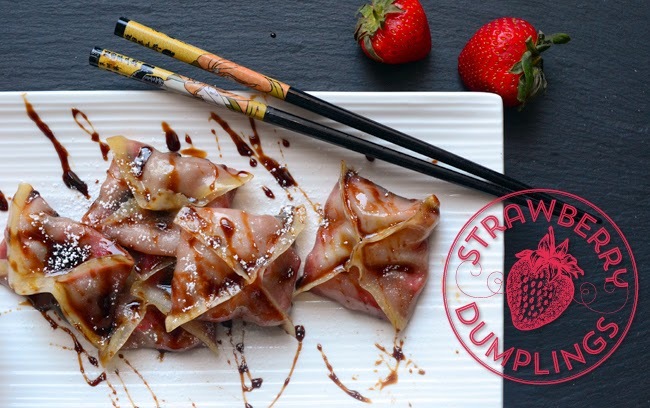 I love the idea of cooking the strawberry in the dumpling in the balsamic reduction! How many does this recipe make??? Planning a school club fundraiser and need to know amounts :/ Thanks! How many does this recipe make? Planning a school club fundraiser so need to know amounts :/ Thanks! Hi Jennifer! The recipe should make about 30 dumplings. Thanks and enjoy!